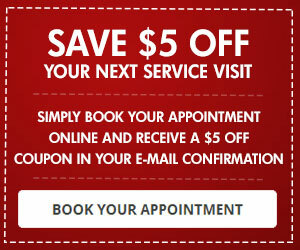 Car Care Clinic Jet LubeCar Care Clinic Jet Lube - Can Summer Heat Damage My Battery? Home » Maintenance Tips » Can Summer Heat Damage My Battery? 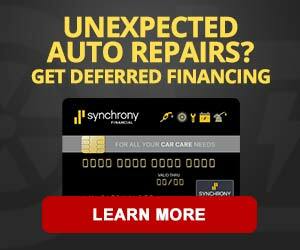 Yes, the heat in our brutal summer months can also drain your vehicle battery. We often think winter is the season when batteries go dead but excessive heat and overcharging shorten the life of a battery. Heat causes battery fluid to evaporate, and that causes internal damage. Most of us know accidentally leaving your lights on can cause your vehicle battery to drain quickly. Just like your home chargers and electrical gadgets, cords plugged into walls will pull electricity when they are not plugged into devices. When you’re not charging your cell phone or other devices you should disconnect them from power outlets. Can an Alarm System drain a battery? Well, it depends. 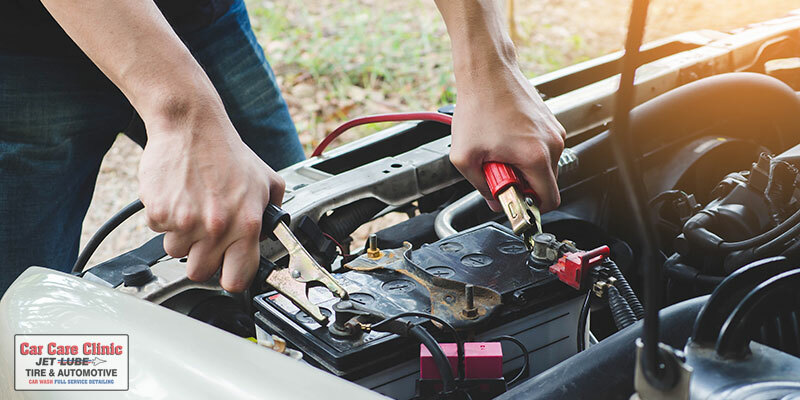 An alarm system may be a culprit in draining your battery because of improper installation or incompatibility with your vehicle electrical system. Aftermarket stereo systems if not properly installed can go into sleep mode and be draining amps while waiting for a wake up signal from your electrical system when you turn it back on. Keep the top of the battery clean. Grime and dirt from inside your engine can become a conductor, which drains battery power. If corrosion accumulates on battery terminals, it becomes an insulator and inhibits the current flow. Its best to leave this to an automotive professional, because they have the tools and knowledge to safely inspect and test your battery. How do I clean my car battery? Be very careful when cleaning your vehicle battery. You can wipe off dirt with damp rags or lightly scrub off corrosion with a wire brush. However, battery fluids can cause chemical burns and only a professional should handle battery fluids and corrosion. If your battery is severely corroded please have your trusted automotive technician inspect, clean and test the battery. Corrosion from battery fluids will destroy wiring, causing safety issues as well as performance problems like hard starts. The test will let you know how much voltage (percentage) is left. Newer batteries which have low voltage can often be recharged. When a battery reaches four to five years old it may be time to replace. 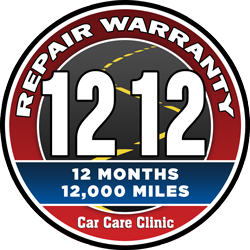 Before you get ready for your summer road trips, schedule a pre-trip inspection with one of our locations. We will inspect fluids like coolant, brake, steering, and transmission, as well as your battery, tires, brakes, hoses, belts and other parts for wear or damage. When you get a recommendation for maintenance or repair ask the technician to take you to your vehicle and be shown the damaged part or corroded fluid. 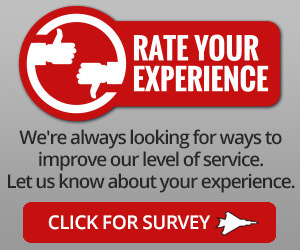 We will be happy to show you what we’ve found and thoroughly explain the maintenance or repair service.